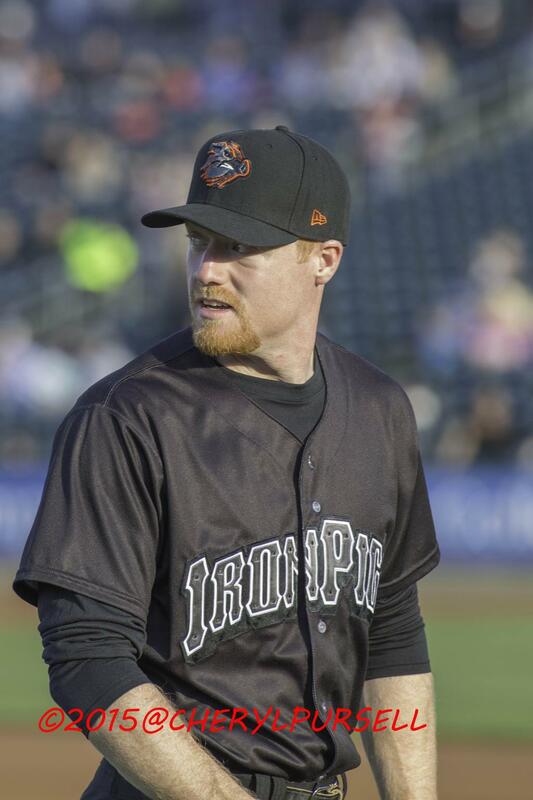 The IronPigs are on a 5-game winning streak, and have for the moment, anyway, lifted themselves out of the International League Cellar by a percentage point or two. Our ace, Phillippe Aumont, is on the mound tonight–and while I’m fully aware it could all crumble down in a minute, I thought it a nice time for a story. The year was 2010. It was a Tuesday night. 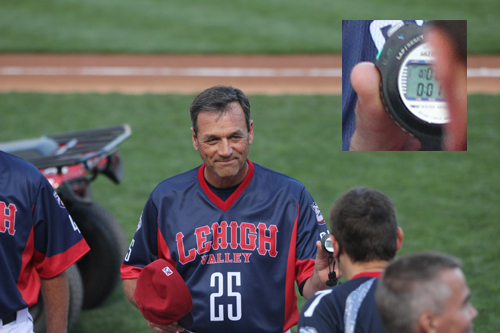 At the time, I had only two season tickets, but like these days, I wasn’t want to go all the way to the western side of the valley to pick up kiddos for the game, when my office is a mere 7 minutes from Coca Cola Park. At the time, there was a dude who would sometimes buy tickets in my section, so I offered him my extra as I was coming straight from work on a Tuesday night. As per usual with my seats, when I give one away I’ll not ask for cash, but for a beer. The tickets are already paid for, what I really need is for someone to help me with my bar tab. So my new buddy Rich got me a beer and we settled in for the game. It was early in the season, and not crowded. As the game wore on it got less and less crowded. At one point, Rich ranged several rows and a dozen seats away to grab a foul ball. There were no kids anywhere to give it to, so he kept it. Then he bought me another beer. With no kiddos in tow, and the game tied, I gladly accepted it. I’d had several on my own throughout the game, but what the heck? The game was tied, and I welcomed the extra innings to allow the extra beers to wear off. Rich and I got talking about the different seating options at the park. I mentioned that one of my favorite places to sit is in section 115, row A. The seats are right ON the field, with no visual obstructions whatsoever–just the screen. I’m not sure whose seats those were at the time, but right now I believe they belong to the Joe Brake family–to go along with the new Coca Cola Park sponsorship. But I digress. The seats were empty headed into the 10th, so we headed down there. All the concessions were now closed and neither team was getting anything going–not close to scoring. It got later. More people left the park. Pretty soon, they came over the PA system asking everyone left in the park to head to section 118 for a special “longest game” photograph. 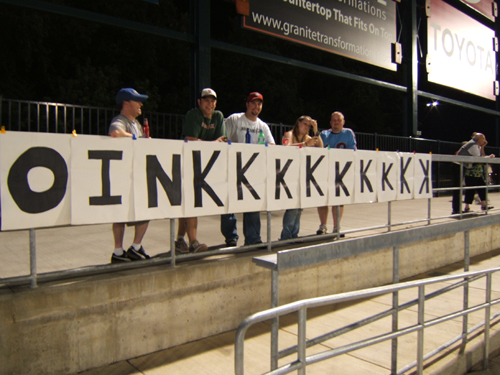 Rich decided to take off so I headed out to the “K Corner” to say ‘hello’ to Dan and his friends by the oinK sign. When I arrived they were discussing two things: (1) That the section 118 thing was to close up the rest of the park and restrict our access, and (2) at what point would it be advisable for Dan to go streaking in the outfield. The streaking discussion lead to a discussion about whether the security guys at the park were in possession of Taser guns, or not. It was an interesting debate! I don’t think we won the game–and I might have left before the bottom of the 16th–but that’s my only streaking story. I’m pretty sure no streaking occurred–but only those who were there know for sure. Rende-ball. Now undefeated in 2015! But who’s running the Anthem-time pool now? Him? You know, it’s been close, though, over the past several games. Over the past 11 games 8 have been determined by one run and the other three by 2 runs. It’s good managing and some really solid outings by the bull-pen–at least in crunch time. Chief among the ‘pen credit should go to Cesar Jimenez–who’s become the de-facto closer. Dustin McGowan has been the “alternate” closer the past couple nights, and has also done well. The starters have put in some solid starts, too–Jason Berken last night, and the emergence of Joely Rodriguez over his last three starts. So we’ll try for six tonight behind our “ace” Phillippe Aumont. With a win tonight he could notch his third consecutive quality start for the first time in his career. I’ve even heard Phillies’ fans clamoring for his call-up to replace Jerome Williams. It’s on, Phillippe–up to you. 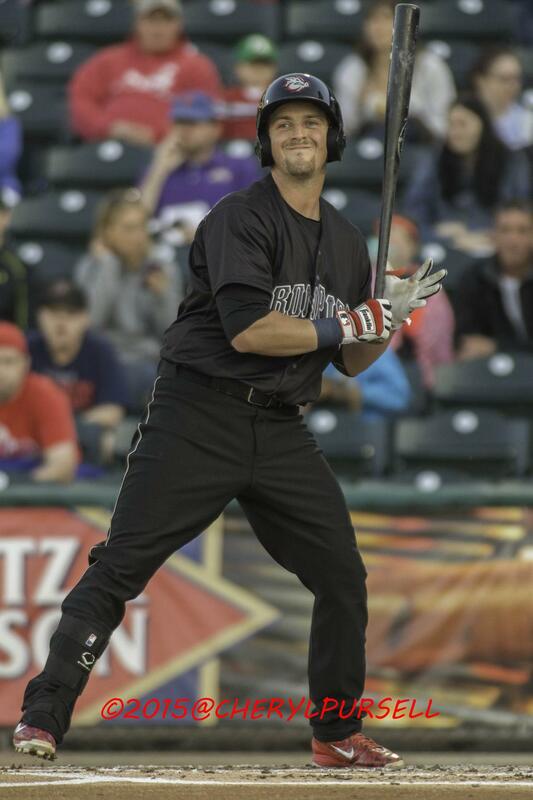 Chris McGuiness is smiling because he knows he’s going to get a clutch hit. See you at the park–post-game trough party tonight, and pre- and post-game tailgates still on as planned. 5/18/2010… a bunch of guys incl. Richie T, John Suomi and Melvin Dorta played awl 16.